Dr. Ellen Wohl has spent much of the last decade studying the ways in which instream wood influences the form and function of river ecosystems. 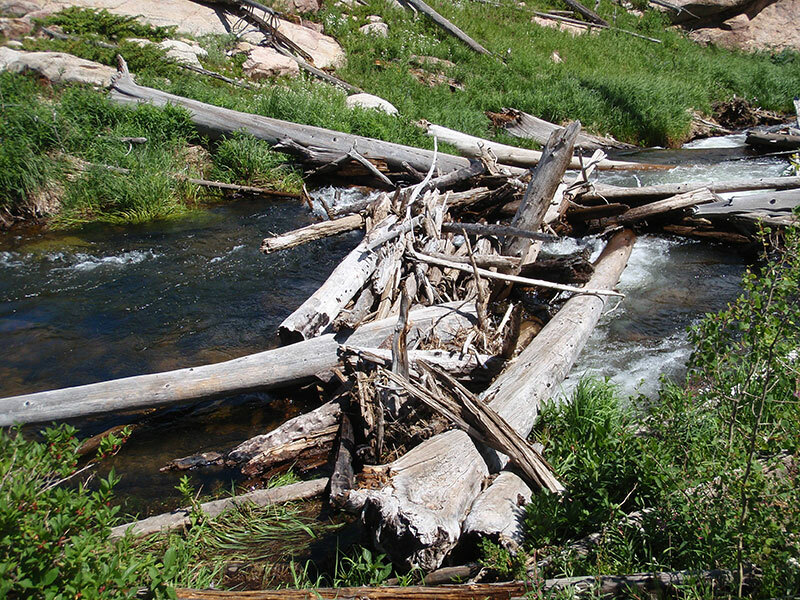 What prompted your interest in the topic of wood in rivers and streams? 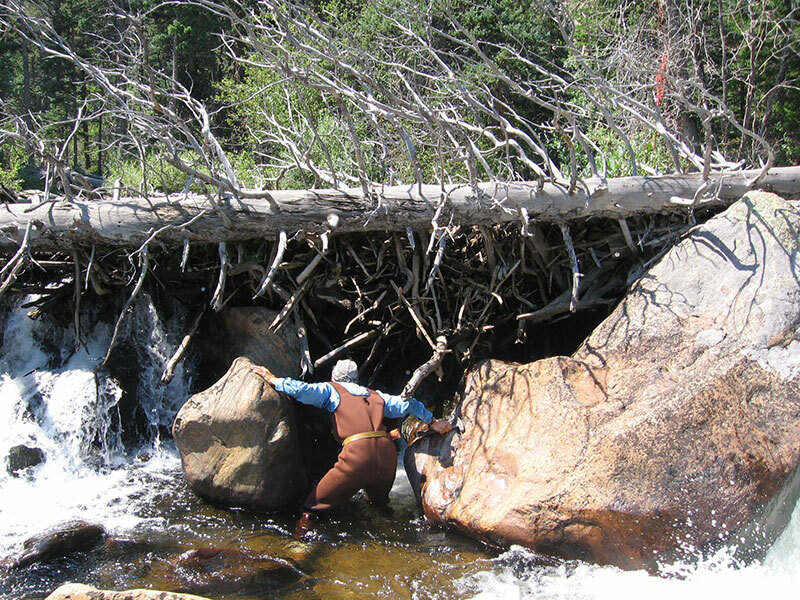 Shortly after coming to Colorado State University, when I got up in the mountains to conduct my initial studies looking at downstream trends, I actually tried to avoid reaches with wood because they were harder to measure and characterize. I had read studies about wood in rivers of the Pacific Northwest, but I was not sure they applied to us because our wood is so much smaller. But that changed in 2009. I went into Rocky Mountain National Park to do a baseline survey related to mountain pine beetle, and I started going off trail. As I began exploring stream networks in old-growth patches, I saw things I hadn’t seen in any other part of the river networks along the Colorado Front Range. I saw abundent log jams and anastomosing or “anabranching” channels, which split, branch, flow subparallel to one another and then rejoin. 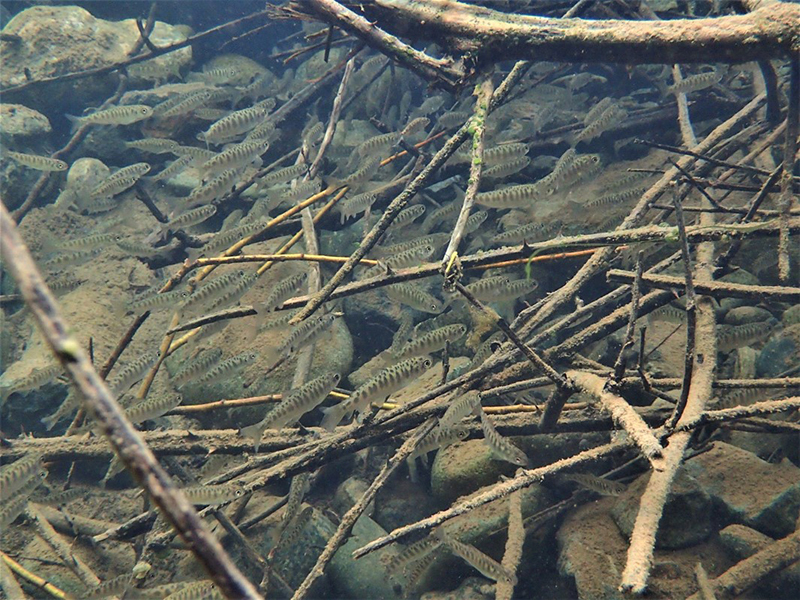 In wide spots of the river, there could be as many as seven of these channels. I realized that I was seeing these multithreaded channels in the old-growth because there was so much wood there, and the wood was so large (for Colorado, that is). You don’t see that quantity of wood and you don’t see log jams that big and so closely spaced elsewhere in that region. In 2010, I took my colleague, Kate Dwire, from the Forest Service, up there and she got excited because she saw riparian plants she hadn’t seen elsewhere in the river network, because the valley bottoms were so much wetter. She said, “I wonder what effect this has on carbon storage,” and it was like one of those cartoon moments where a lightbulb pops up in a thought bubble above your head. I couldn’t ignore wood anymore. That set me off on a tangent of paying more attention to where organic carbon was stored in the river bottoms, in what forms it was stored, and how it varied throughout the network. Together with Kate and others, I did a study of carbon stock, and how it was stored in valley bottoms in living vegetation, soil, and downed wood. This required spending a lot of time in these channels, and I started to notice a lot of fish. That led to other questions. I then started a big, collaborative project (called “Leaky Rivers”) with a group of stream ecologists and biogeochemists looking at how differences associated with wood influence stream metabolism (how nitrate is taken up by organisms and by physical processes in the stream). We also looked at biodiversity and biomass: aquatic insects, salmonids, and riparian spiders as insect predators (because they’re easier to catch than bats and birds). Through this work, we learned that more wood in the channel corresponds to greater physical complexity of channel form, greater retention of solutes and particulate organic matter, more abundant and diverse habitat, and greater biomass. One of the many papers to come out of that project was an article you co-authored about historical land use as a driver of “alternative states” for streams in the Southern Rockies. In that study, you looked at stream channels in unconfined and partially confined valleys in three types of sites: old growth unmanaged forests, younger-growth unmanaged forests, and younger-growth managed forests where management was primarily historical timber harvesting and log floating. What did you learn about the presence and role of large wood in streams in those different sites, and what are the implications for restoration? I knew that old-growth was different from younger forest. What surprised me was the difference in forests of the same age that did and did not have a history of timber harvest. We learned that old-growth forests and naturally disturbed forests (i.e., those with a history of blowdowns, wildfires, etc.) are statistically significantly different than managed forests (forests in which there had been a history of timber harvesting), even if the stand age of the naturally disturbed and managed forests are the same. The river corridors differ in terms of wood load, channel planform, channel geometry, stream metabolism, and biomass and productivity. All of our managed sites have not had timber harvest or wood removal for a century. In other words, there is a legacy effect that persists for more than a century after land uses such as timber harvest. 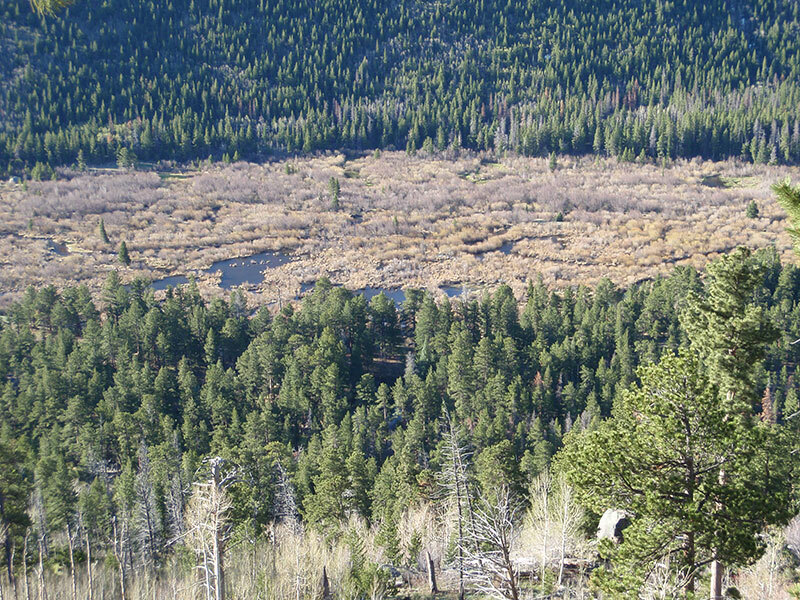 Studies in the Southern Rockies and in Australia suggest that circa 200 years must pass before a valley bottom recovers from clearcutting or “snagging,” which is a term for the removal of instream wood. One implication of this is that passive recovery is very slow, so active recovery (reintroducing mobile or stationary large wood) can be important in accelerating stream recovery from wood removal. 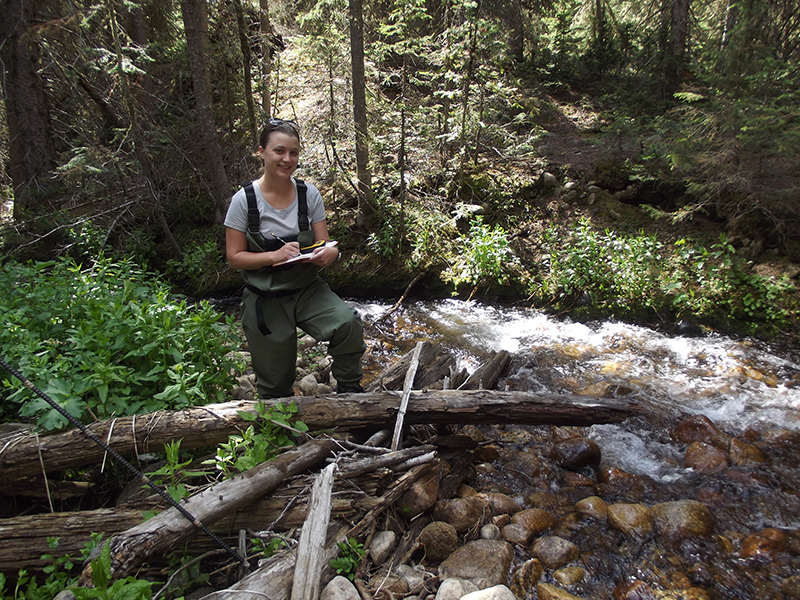 PhD student Bridget Livers (now a post-doc at Iowa State University) conducting research for the Leaky Rivers project. How much do we know about the role of rivers in the global carbon cycle, and the role of wood in the way a river stores or releases carbon into the atmosphere? We know relatively little in terms of the amount of carbon storage along diverse river corridors. We know more about carbon dioxide emissions to the atmosphere from rivers and about carbon discharge to the oceans. We know something about the role of wood. Wood itself is about 50% carbon, so stable, large wood that decays slowly is a carbon sink. 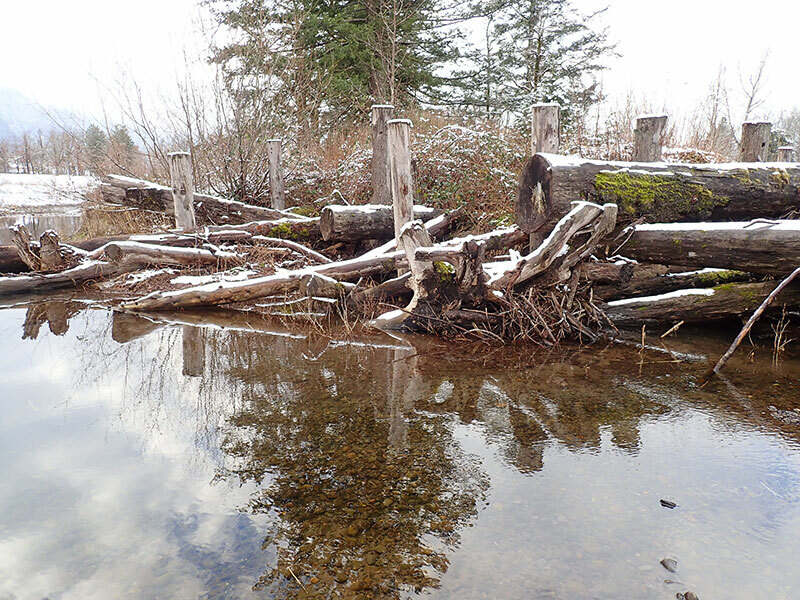 Probably more important is the role of log jams and beaver dams in maintaining channel-floodplain connectivity and high riparian water tables that promote reducing conditions in soils (i.e., limit microbial decomposition and atmospheric emission of carbon). Floodplain soils are the largest carbon reservoir in most river valley bottoms, and these soils retain the most carbon if the soil remains at or close to saturation. Reintroducing large wood in rivers and streams for ecological restoration is a relatively new practice. Is carbon storage related to these restoration projects being studied much? Not really. Until about three years ago, people reintroduced wood by putting in engineered log jams that are pretty small. They are not having the effects that I’m talking about. However, within the last three years, there have been some projects in Oregon where the Forest Service is knocking over a lot of large trees and just letting them redistribute. Those projects are promoting sediment accumulation in the channel and reconnection with the floodplain, but I do not think anyone is looking at carbon storage yet. There is well-established literature on carbon storage in wetlands, but not much about how changing the channel-floodplain connectivity changes that carbon storage. That will come as we do more of these restoration projects. Does the rate at which wood decays in a river corridor differ from the rate at which it decays in the ocean? Yes, and it also differs dramatically in rivers. I have worked in Panama and Costa Rica, where the turnover time (the time it takes for a fallen tree to completely decay) is nine years. Turnover time here in the subalpine, where most of the old-growth is, is 700 years. It’s not that wood isn’t important in the tropics, but it is not creating the effects that we’ve been discussing. It also depends on the tree type. In the subtropics, wood decays very fast—except for certain species that are called “sinkers,” which are enormous trees that sank when people were floating them down the rivers to sawmills 150 years ago. Species and location make a difference in wood decay. Wood in smaller rivers or near the edge of the river decays faster because it is constantly wetted and dried. If the wood is submerged and always saturated, it decays more slowly. So wood in the ocean decays more slowly. For the benefit of readers unfamiliar with the term, can you define the term “river bead,” and explain why they are important? Jack Stanford of the University of Montana introduced the phrase in the 1990s to describe wider, lower gradient portions of rivers in mountainous terrain. 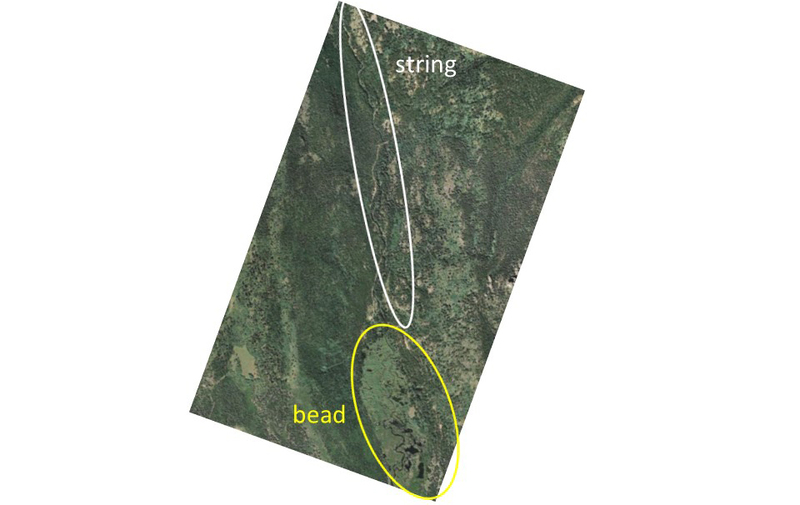 These sections, which are commonly separated by steep, narrow segments, resemble beads on a string when the valley bottom is delineated on a map. Image from North St. Vrain Creek, Colorado. Why are river beads important? How do they affect river function and processes? There is a really nice paper by Rick Hauer of the University of Montana that talks about gravel-bed river floodplains in the Northern Rockies. What he found is that even in an old-growth forest, if you compare a steep, narrow section of a river (a “string”) to one of these “beads,” the steep, narrow section is a transport zone. There is minimal floodplain, minimal carbon storage, less uptake of nitrogen, fewer organisms and biomass, and there is much less habitat abundance and diversity. The “bead” is like the slow zone, the retentive part of a network. Nutrients are retained and you have more habitat. In the bead, you have both the cleansing functions that go with nutrient retention, and you have the biomass and biodiversity that go with habitat diversity. Where should restoration projects target new beads in the landscape, and what role should in-stream wood play in the creation of new beads? Any beads that can be restored, should be, but beads in smaller streams are likely to be more feasible to restore in many cases because they are smaller, more manageable, and more likely to be owned by a single entity. Wood is one mechanism of creating what are now increasingly called ‘stage 0’ channels – marshy swales with multiple, subparallel shallow channels and abundant floodplain wetlands. Beaver dams can also create this valley bottom morphology, as well as other processes. Where are we missing the biggest opportunities to increase carbon sequestration within river corridors? Everywhere. Most people think about upland reforestation (e.g., REDD), and not about restoring river corridors in the context of carbon sequestration. Portions of the river network that were historically swamps or marshes with abundant floodplain wetlands would be the obvious place to start, but such valley segments occurred everywhere historically, including desert streams in central Arizona. What are the biggest obstacles to doing that, and what can we do to reduce some of them in the next decade? The number one obstacle is public perception. People are used to seeing much more simple river corridors. Matt Kondolf at the University of California Berkeley, has done some nice work tracing aesthetic perceptions in Western culture back to landscape architects like Capability Brown, an 18th century English landscape architect who designed parks and estates for very wealthy people. For whatever reason, people still like a gently sinuous channel with an open, park-like aspect with a few trees and grassy banks. They don’t like a braided river full of wood. I was once involved in a study where we showed photos of different rivers with different amounts of wood to students in introductory geology or physical geography classes in multiple states in the U.S. and in multiple countries. We asked the students to rate the photos on a numerical scale for several categories—how natural the channel was, how aesthetically pleasing it was, how dangerous it was, etc. Internationally, Sweden and Germany were the outliers. In the U.S. Oregon and Washington were the outliers. Those were the only places where students rated pictures of streams with wood as being healthy, natural, and attractive. Everyone else viewed them negatively. The other hurdles are regulatory. If you increase the overbank flooding and go out of FEMA compliance in channels of certain size, that can be a problem for regulators. To bridge the perception gap, shift the baseline of opinion, and build a constituency that will work for retaining wood in rivers, you recommend sustained educational outreach that begins with children. Have you seen this done effectively anywhere in the world? If so, can you share examples? The Pacific Northwest leads the way. The research on the importance of old-growth forest starting there in the 1970s and 1980s led to the recognition of the importance of wood in rivers and the societal emphasis on salmon led to widespread public recognition of watershed and river health, including wood. There is a body of scientific research there that exceeds the depth and breadth of knowledge about wood in streams for any other single region, but I think the concern about salmon provided a pathway to translate that scientific knowledge into public awareness and advocacy. You have written about the importance of charismatic megafauna, like salmonids, in building support for wood in rivers. What other charismatic megafauna could help people recognize the importance of wood in rivers? Beaver, salmon, otters, and native endangered fish (e.g., salmonids in US, Murray cod in Australia). 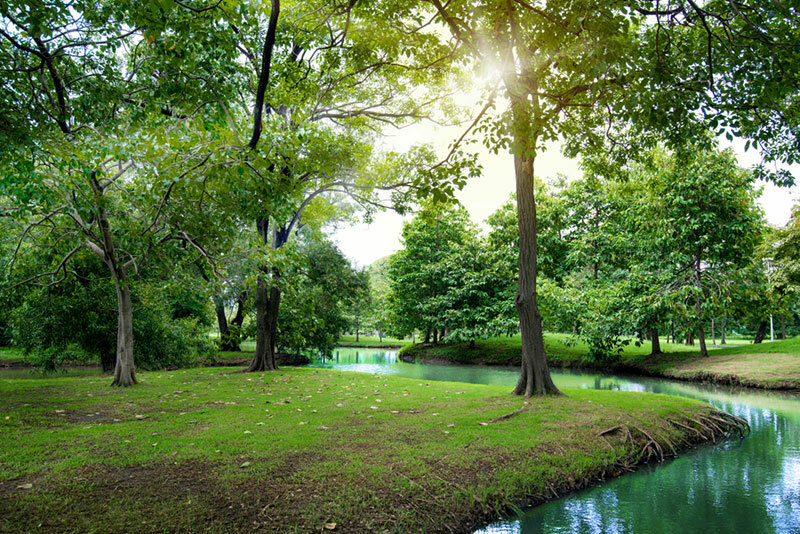 The introduction to the National Large Wood Manual states that the ultimate goal is to restore the function of wood “until riparian forests are able to supply the large trees that can sustain those functions.” In your paper we discussed earlier you wrote, “With time, historically managed watersheds could regain the physical complexity associated with wood retention.” Generally speaking, what strategy can you recommend to restoration practitioners who want to increase the likelihood of that kind of trajectory in their projects involving large wood? I want to preface my response with an important caveat: it depends on context. 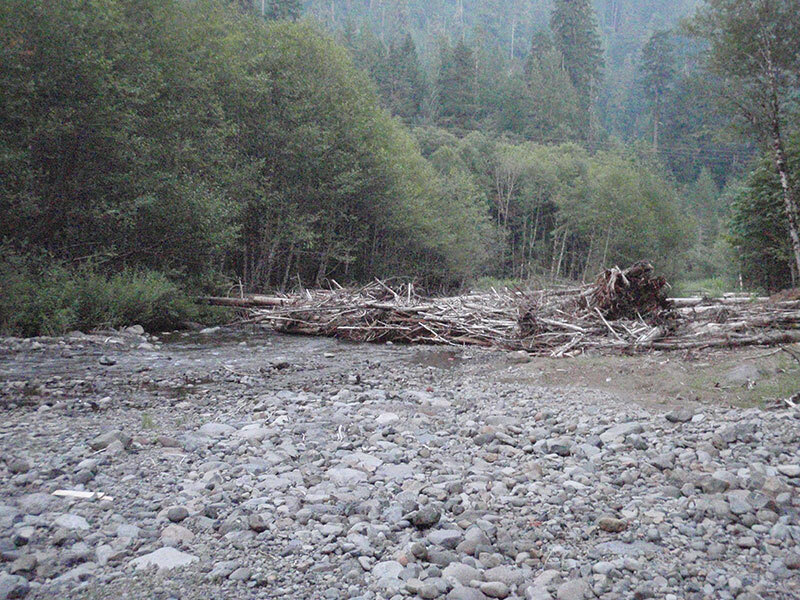 What they are doing in Oregon, putting a lot of wood into rivers and letting it redistribute, is exciting. But that is not going to be feasible in some places. Wood creates hazards when it becomes mobile, and some places just have too much infrastructure. In places where we can’t get back to that level of reconnection and natural function, engineered log jams are a good thing. It’d be much better, though, if they could be mobile and allowed to adjust whenever feasible. There are multiple functions (beyond habitat) that can be fulfilled by reintroducing wood. I think people are starting to think about that more broadly. A lot of the projects in the Pacific Northwest are about habitat, but they are also beginning to be more about floodplain connectivity and changing the configuration and function of the valley bottom now. What about restoring the source of wood? That comes with allowing the log jams to modify with time. You want to have a wood recruitment source that can occur naturally. But…the more you go toward fully natural conditions, the more difficult that becomes, because you’re not just dealing with one small site on a river. You are dealing with the riparian corridor and potentially the adjacent valley walls from which wood can come. You’re also dealing with wood moving downstream to the site you are trying to restore and beyond that site. That’s why I emphasize that it’s context-dependent. In January of this year, the 4th annual International Conference on Wood in Rivers was held in Chile. I understand that you are very involved with this conference. 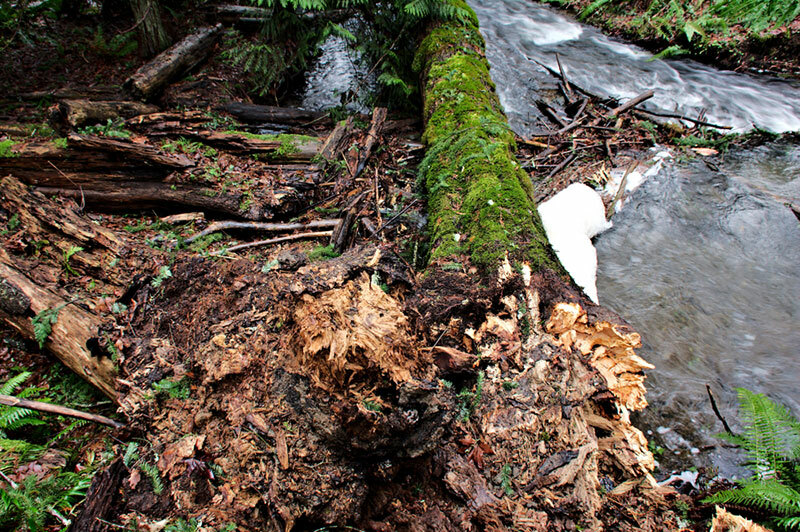 The Pacific Northwest is known for leadership in the reintroduction of large wood for stream and river restoration. What other areas of the world are having success with this? How can our readers find out more about the next conference? Europe and Australia are about the only other regions doing much wood reintroduction. The conference is going to a four-year rotation. The next one will be in June 2023 in the Gaspe Peninsula of Quebec (hosted by Thomas Buffin-Belanger of the University of Quebec). Following that, the next one will be sometime in 2027 in Australia, hosted by Ian Rutherfurd of the University of Melbourne. This conference is not sponsored by any society, so people need to do searches online to find the announcements. What do you consider to be the most pressing need for research on the topic of wood in river and stream restoration? How to increase public awareness of the beneficial aspects of wood – this should then facilitate other considerations such as allowing wood to be mobile rather than fixed in place, and maybe it would even start to impact the current situation in many states where rivers are annually and automatically “cleaned,” where all large wood is removed, regardless of context. DJ Bandrowski, a lead technical editor of the National Large Wood Manual, brought up over-engineering as a common design mistake. He said, “When you try to harness nature by creating a stable condition, you are always going to lose. You’re never going to be able to create a structure that will never move. That’s not how nature works.” Do you have any advice for practitioners on how to balance stability and mobility? I agree with DJ. Part of finding that balance is trying to get out of the mindset that everything has to meet very detailed engineering specifications. At the River Restoration Northwest meeting earlier this year, we went on a field trip to look at a much older engineered log jam. For this project, they had driven in vertical wood posts, attached wood to the pilings with cables, and buried some large wood in the banks of artificial islands. Someone pointed out that the vertical posts were all cut off at exactly the same level. It was obviously built by someone who was used to doing standard construction projects. Everything had to be neatly tied in and look a certain way. That’s a trivial example, but it reflects the underlying mindset that we must build neat-looking structures. I’d prefer taking a less controlling approach, where you allow the structure to evolve and don’t fasten everything in. But again, everything is very context dependent. 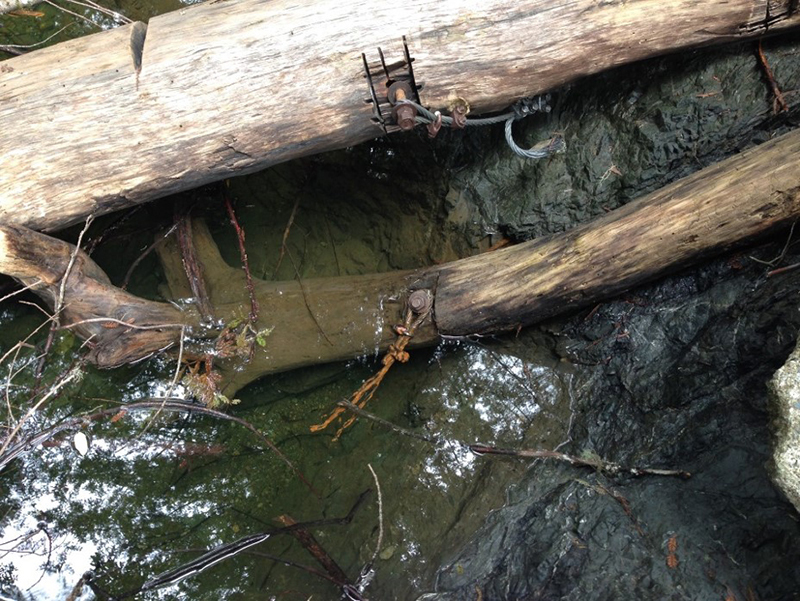 I mentioned wood damaging infrastructure earlier, but with engineered log jams, the worst-case scenario is someone getting swept into it and drowning. I was in a site in the Appalachians where there had been a log jam that was mostly on the bank, with a little bit in the channel. Some people were on a cobble beach upstream, and a little girl lost her footing, got swept downstream, and drowned in the jam. That jam was removed. Some structures become more dangerous as they age. If they are fastened with cables and the cables come loose, those sharp, metal cables are more dangerous than the wood. There are situations where there are too many liabilities and hazards to put wood back in. 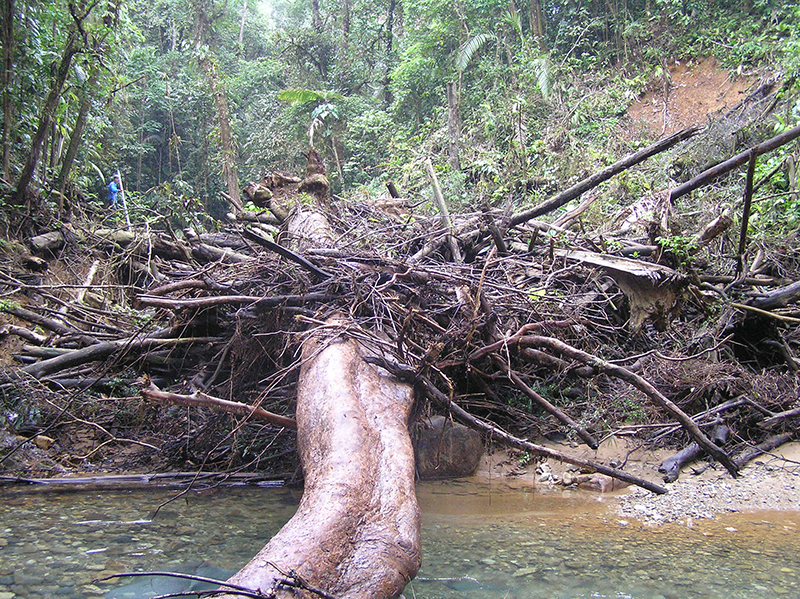 But in places where you can, I recommend thinking about the jam as a self-sustaining and adjustable structure and trying to protect the riparian forest so you can have natural tree fall, with wood coming into the channel and collecting on the jam. Any final words of wisdom for Leaf Litter readers? I like the bumper sticker “Celebrate diversity,” and I’d like to ask people to think about extending that to natural environments, too. Our rivers should not all look the same. I’d like to celebrate river diversity, and have people think about why a river appears as it does and what processes underlie that appearance.